On the eve of Becoming Alabama, the Mobile Studio set out on Alabama’s founding road, the Old Federal Road, traveling its length to discover the multiple histories and founding myths of the state. We stopped to investigate key crossroads; intersections of river, road, and rail to excavate narratives of resistance and imagination since the time of the Creek Nation. Along bulldozed paths the Studio traveled from the gulf to the plateaux, the foothills of appalachia, loosing the once tight woven strands of Alabama history in fragmented communities. The studio is an open space of discourse and discovery about landscapes through collective image making. 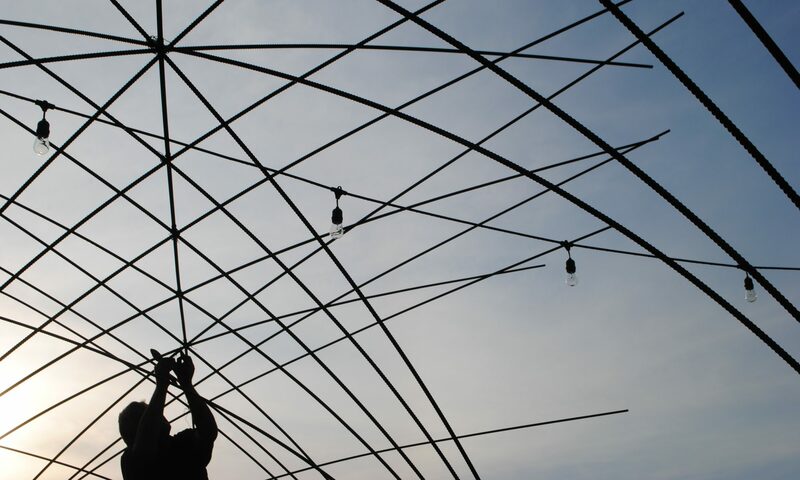 It is an event that stirs the local civic imagination, catalyzing new possible futures. The studio builds diverse partnerships to facilitate complex urban re-vitalization projects in partnership with the next generation of civic leaders. 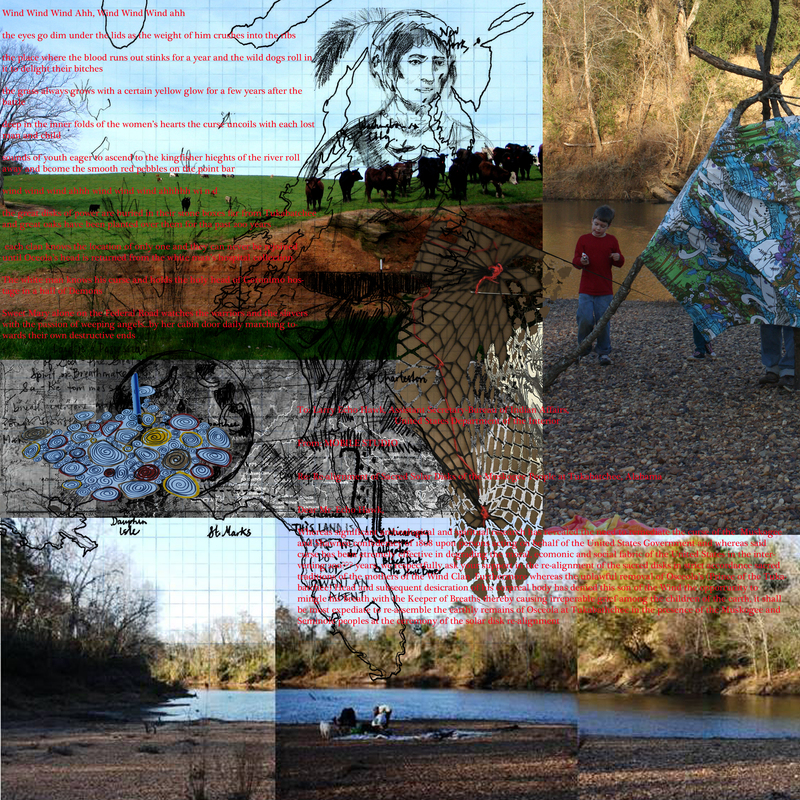 The Mobile Landscape Studio explores the Alabama landscape to discover its layered past, document its presents, and imagine possible futures through landscape image making and community convergence. It is motivated by a dual interest in expanding art education activating landscape design within the state as tools of community empowerment and sustainable development. This is the story of the studio’s first explorations in the field with local artists at select spots along the remains of the Federal Road, a route chosen for its seminal role in the history of Alabama and the well-documented contested nature of that history. While at first glance the images produced seem to expose lingering bucolic notions of landscape, interviews with the artists and a slower look reveal a haunted landscape, propelled towards a new vernacular by ghosts of the past. The vision planning and co-creative design projects intended as future outcomes of the Mobile landscape studio will grow from deeper engagement with diverse local communities, and multiple imaginations of the Alabama. For more information about the Old Federal Creek Road visit the Encyclopedia of Alabama.